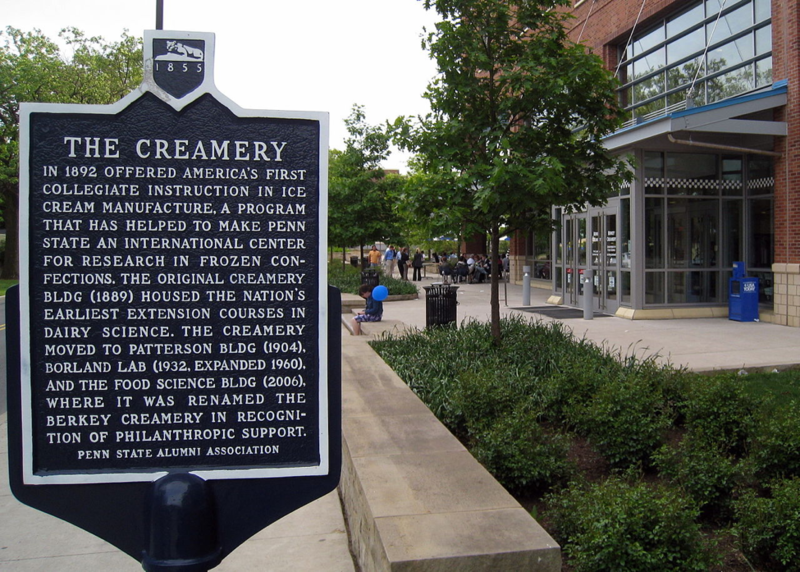 The first Creamery was built in 1865, and dairy short courses were first offered in 1892. Creamery ice cream was first sold to the public in 1896. By 1932, the Creamery was buying milk and cream from hundreds of nearby farmers and was selling ice cream in both State College and Altoona. It is the largest university creamery in the US and sells over 750,000 hand-dipped ice cream cones per year. Over 100 flavors are offered at The Creamery. The most popular flavors are Vanilla, Bittersweet Mint, Peanut Butter Swirl, Peachy Paterno, and Butter Pecan. Famous ice cream makers Ben Cohn & Jerry Greenfield (of Ben & Jerry’s), took the Penn State Creamery ice cream making course in 1978. Only US President Bill Clinton has been allowed to mix different flavors (in one cone or cup). He requested Cherry Quist and Peachy Paterno. But after his tenure as the President, when he returned to the Creamery, the workers would no longer serve him mixed flavors. Can’t wait to see you all there! 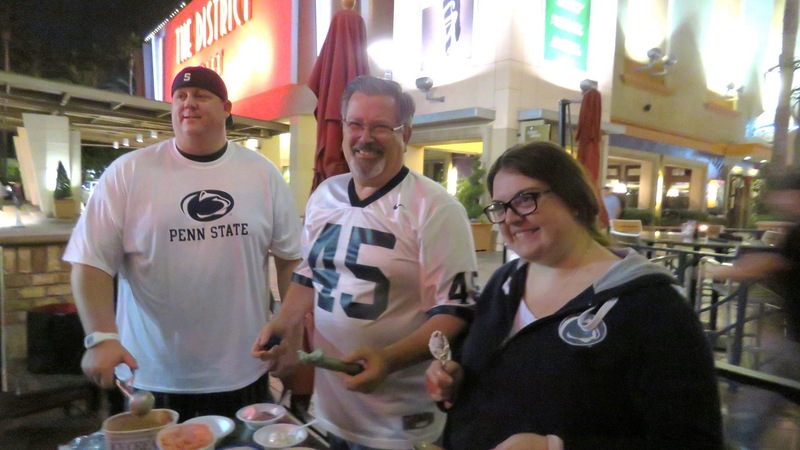 Click here for more info on our football game viewing parties.